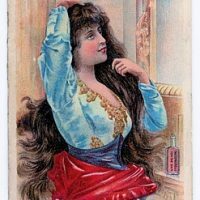 This Royalty Free Image is an Antique Advertising Card ! 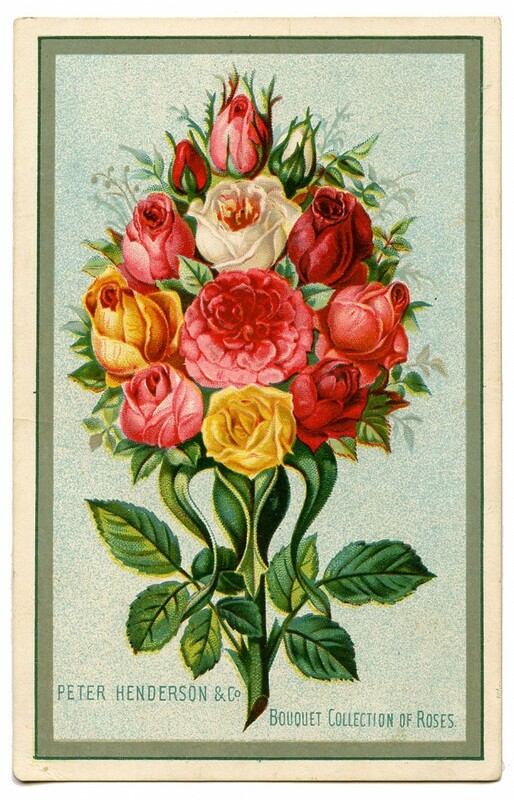 The card was an advertisement for the Bouquet Collection of Roses, which was an assortment of Rose Plants that you could buy from a nursery in New York. According to the back of the card you could purchase a set of 12 Rose plants for only $5.00. Imagine that! I’m guessing it probably dates to around the 1880’s or 1890’s. The image on the card shows a lovely colorful Rose bouquet. A very nice Vintage image to use in your Garden Style Projects or Handmade Cards! Its just beautiful- a real visual gift- and it won’t need watering or composting either!! Thank you! Yes, these are much less work! BEE ~ U ~ TEA ~ FULL ! I absolutly ~ love ~ love ~ love ~ this boquet ! Thank ~ You . Beautiful picture! Thanks for posting it for us. I am confused, things seem quite different suddenly here. When I click to go to a previous post, it doesn’t do anything. I think I am “signed up” here (?) Did I miss something? Hi Dee, Just click on the blue words directly under “Previous Post”, that is the title of the post and it is clickable. I hope that helps!